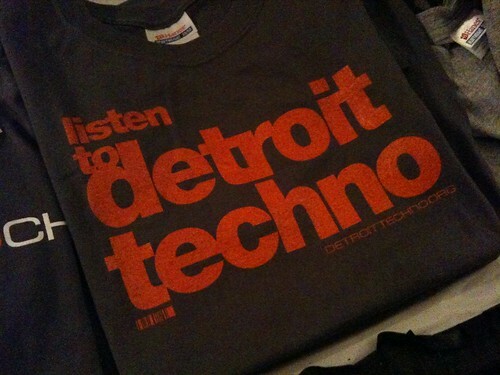 It’s been my pleasure to contribute graphic design to Movement: Detroit’s Electronic Music Festival for the last few years. 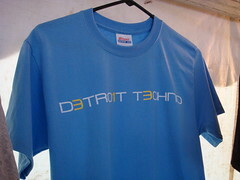 In 2006, I submitted a number of different concepts to Paxahau, producers of the Movement festival, and they’ve been producing them as official merchandise ever since. Each year when I swing by the tent it’s very gratifying to see the designs I did, and even more so when I see them wandering around Hart Plaza over the course of the festival. I’m currently working on some new designs. Hopefully our partnership will continue well into the festival’s future. 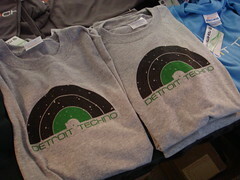 I wanted to inquire about Detroit Techno tees and where they could be purchased? Hi Keith. You might be able to contact Paxahau to see if they have any inventory left. They may have similar shirts available for Movement Torino this weekend. Apologies, I haven’t really seen them available outside of the festival merch tent.